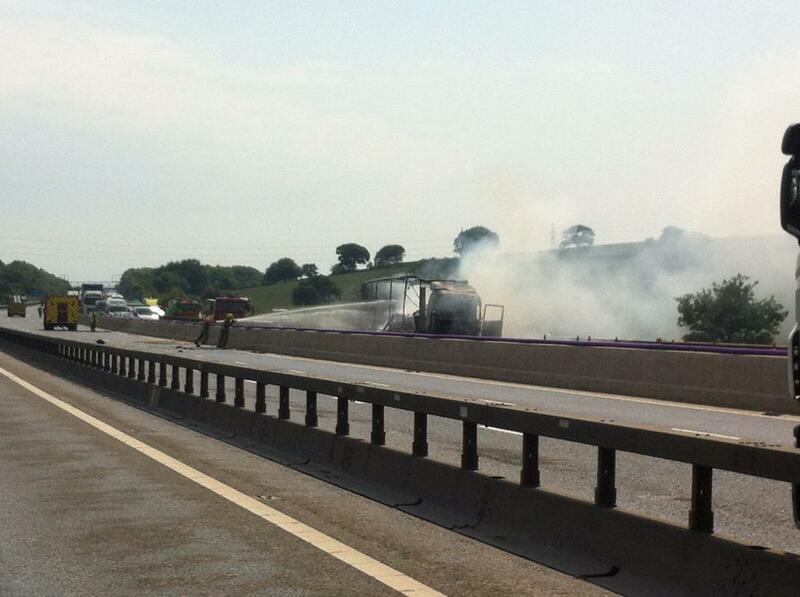 The M1 motorway was closed in both directions between Junction 28 and 29 this afternoon after a lorry caught fire. Long delays are still affecting drivers. 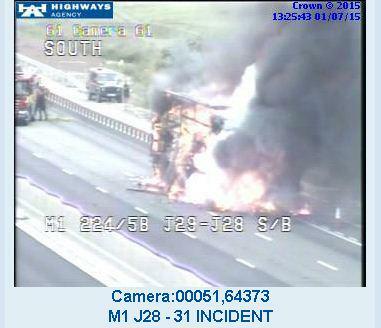 The stretch of M1 where a lorry burst in to flames earlier today is expected to be closed overnight for resurfacing, according to Highways England. 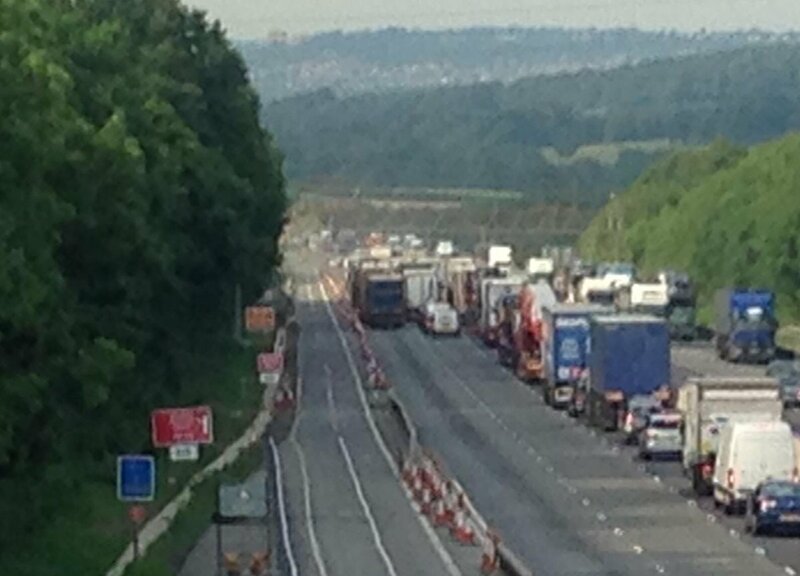 The agency is hoping the road will be reopened in time for tomorrow morning's rush hour, but due to high temperatures overnight it was difficult to predict the exact time it could take traffic.